You could be forgiven for thinking cryptocurrencies, and particularly Bitcoin, are the victims of overexcited hype. That people need to cool their jets. You wouldn't be that wrong. Through 2017 the price of Bitcoin went up over 1000 percent. Bitcoin is of course just one type of cryptocurrency, but by the tail end of 2017 all the various cryptocurrencies together had a total market capitalisation of over 400 billion New Zealand dollars. Those are big numbers, and for some people, ... See More you'll be immediately suspecting we're in bubble territory. I certainly do. But there are those who like the spicy side of investing, who aren't put off by all this. There's certainly an argument that behind the hype, this technology is going to change the way we do business. If you try to trade bitcoin from New Zealand, though, you can run into difficulties. There's even talk of bank accounts being closed if you trade too much, as banks are nervous about the link between cryptocurrencies and criminal activity. If you've ever had a chance to take a peek at the dark web, where drugs and other nefarious things are sold, you'll know that people are indeed using bitcoin for these transactions. So what do our big financial institutions make of all this, and what do they think is the future of cryptocurrency once the hype has died down? 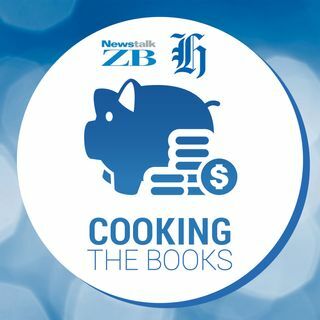 I called up Reuben Tucker, ANZ's head of transaction banking for New Zealand and the Pacific, for the latest episode of the Cooking the Books podcast. We talked about the difference between bitcoin and blockchain, how banks are already starting to use blockchain, and what the future is for cryptocurrencies. If you have a question about this episode, or something you'd like me to cover in the future, come and talk to me about it. I'm on Facebook here https://www.facebook.com/FrancesCookJournalist/ Instagram here https://www.instagram.com/franklysnapping/ and Twitter here https://twitter.com/FrancesCook.